7 Day All Sports Pass! Get every play for 7 days from Power Sports! Guaranteed to show a profit or you get an additional 30 days of NHL FREE! Power Sports' 1 MONTH NBA SUBSCRIPTION PACKAGE! Get every NBA pick from Power Sports for the next 30 days! 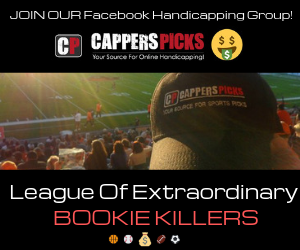 $1,000/game players have cashed in $14,940 on my NBA picks since 01/17/19! 9* Carolina (7:35 ET): While there's been a very real home ice advantage so far in this series (home team is 6-0), I'm going to call for the road team to prevail here. Even though the teams have scored the same number of goals, my view is that Carolina has played better. They've outshot Washington 192-153, which is pretty substantial over a six-game sample size. I'm also going to again lean on the fact that the Canes are #1 in the league in Corsi For %, a key metric that actually foretold the Blue Jackets stunning 1st round upset of the Lightning. Carolina's defense has certainly frustrated the Capitals throughout the series and the 'Canes ability to get the puck on net has been a strength all season long. They were #1 in shots per game in the regular season as well as shot differential. 10* Under Jazz/Rockets (8:05 ET): Utah did its job defensively in Games 3 and 4. They held the Rockets to 61 of 165 shooting from the field, or just under 37% overall. James Harden had a terrible Game 3 (missed first 15 shots) and the entire Houston team couldn't make a three-pointer in Game 4 (missed final 13 attempts). Unfortunately for the Jazz though, they were able to win only one of the two games. Their own poor shooting has really hurt them in this series as they're making just over 40% of their total attempts. They failed to score 100 pts in either of the first two games in Houston. With the Rockets back at home, the conventional wisdom is going to be that they will rediscover their lost shooting touch. I'm not so sure about that. While they did score 118 and 122 points in the first two games of the series, Utah has been an elite defensive team all season. They ranked second in the league in efficiency during the regular season and were 4th in points allowed. Both Games 1 and 2 fell right on the number, so depending on your closing O/U lines, there really hasn't been a "true" Over in the series. Houston is a surprising 11-4-3 Under its L18 games. 10* Under Mariners/Padres (3:40 ET): Last night, I took the Padres as I said I was "unsold" on Seattle's shockingly good start to the season. The Padres won 6-3, holding the Mariners w/o a HR, which is no small feat. It was just the second game ALL YEAR that a Seattle hitter failed to hit one out of the park as they have recorded a record-setting 56 HR's in 26 games. But remember, this is a NL park, which means the loss of the designated hitter. Thus, the M's lineup is not at full strength here. Offensive regression was inevitable anyway moving forward, so Under is the call today. Though they scored six times for me last night, it's not as if San Diego is some kind of offensive powerhouse. They came into yday averaging just 2.8 rpg at home w/ a team batting average of .220. As per usual, you can find the Padres near the bottom of the league in most major offensive categories. But on the opposite front, they have to be encouraged from what they've seen from Wednesday's starter, Chris Paddack. He has a 2.25 ERA and 0.80 WHIP in four starts. While Paddack has yet to win a decision (0-1), the team has gone 3-1 w/ him on the mound. The time has come for Bryan Power to EXPAND! 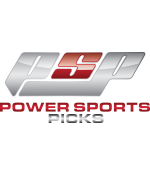 Having achieved a tremendous amount of success, Power is expanding his reach in 2015 as he proudly announces the formation of Power Sports Picks (that's "PSP" for short). 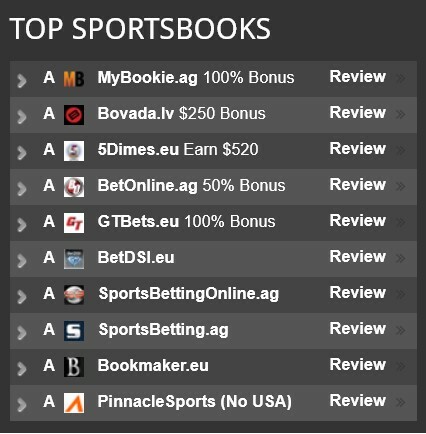 Power Sports Picks promises to deliver the same quality analysis (and same amount of winning) as before, only now with a FULL TEAM assembled, the SKY IS THE LIMIT!